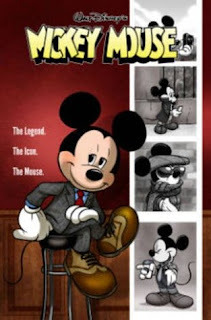 While a bit lengthy, this collection of classic Mickey Mouse adventures is sure to delight readers big and small. We see Mickey in various misadventures that will have you laughing and giggling like back in the day. We see Mickey get conned by a fake psychic, but don't fret, he figures it out right on time to save the day. Plus how adorable is the cover, but then again I do have a soft spot for Mickey and Friends; still, enjoy this fun adventure.